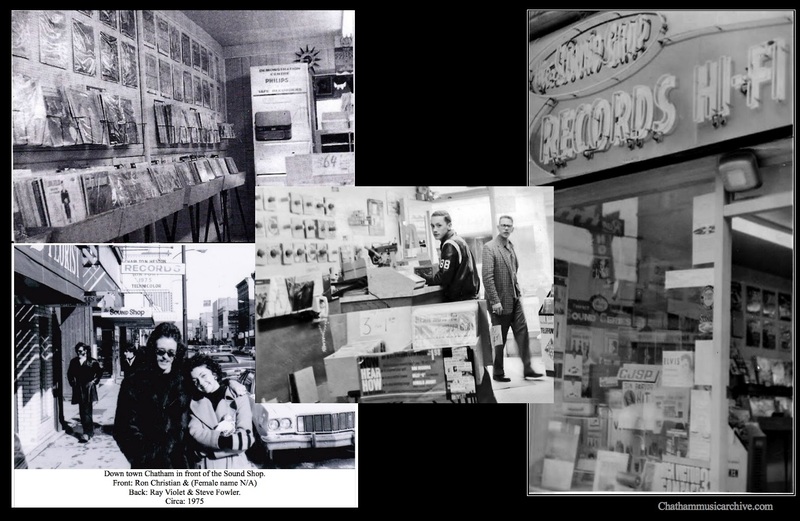 Notes: Sound Shop, one of Chatham’s first music stores, is closing after 25 years. The store on four King Street was owned by Gwen and Paul Beardsal. 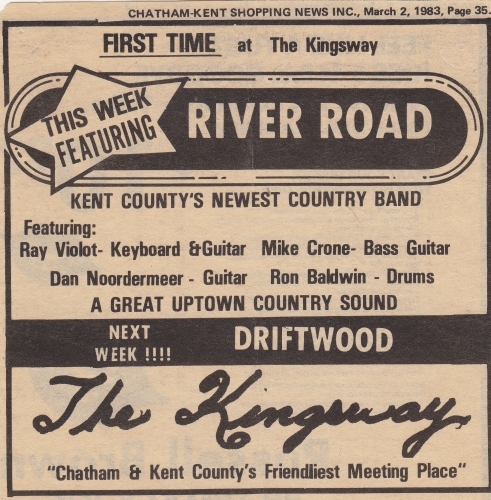 River Road performed at the Kingsway allot and were all highly skilled players. At about this time, Ray began to slow down with the band performances and took on single shows in piano bars. Ray was very talented and played several instruments. He began playing in the Chatham Concert band in 1985 playing the stand up sting bass, percussion, and guitar. He also became busy with University. 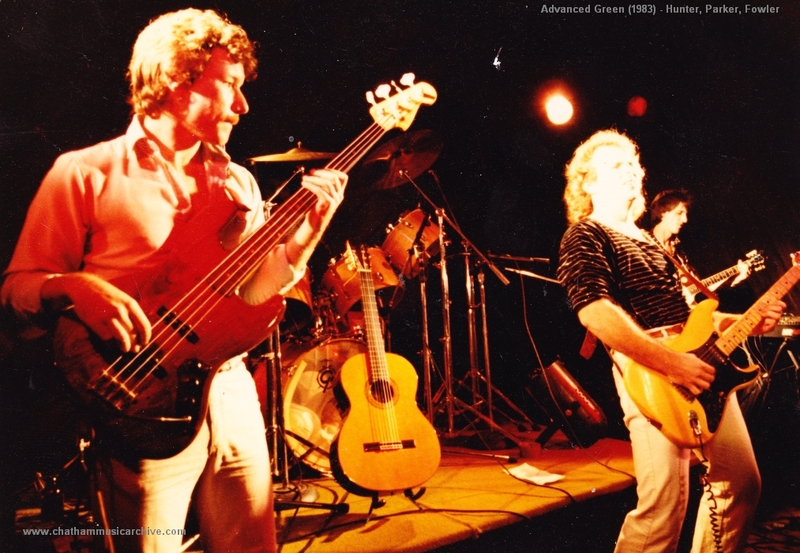 Mike Crone would join Manpower in 1985, who would become one of the longest running bands in Chatham. Dan chose to leave town to pursue music full time. He eventually joined Jeff Healey’s blues band touring Europe and elsewhere. 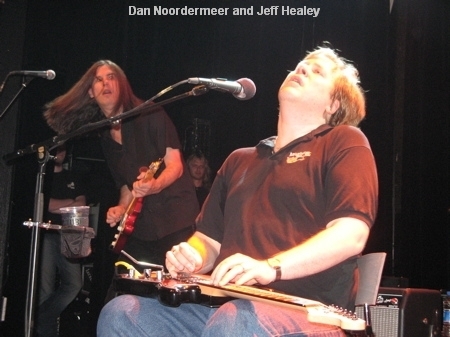 He was the second guitar player on a couple Jeff Healy CD’s released before Jeff’s tragic loss to cancer in 2008. 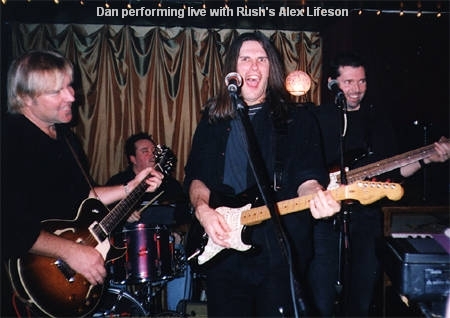 Dan was also in the house band at Jeff Healy’s bar in Toronto which saw famous special musical guests almost every weekend. Noted as one of the best bar bands in the world for their diversity and skill in musicianship, Dan’s skill has landed him some of the finest jams with many stars. 2009 Update: Guitarist extraordinaire Dan Noordermeer continues to dazzle audiences with his formidable talents. Originally from Chatham, Dan now resides in Hamilton. Dan is known for his Samson-like mane of hair and his wicked sense of humour. 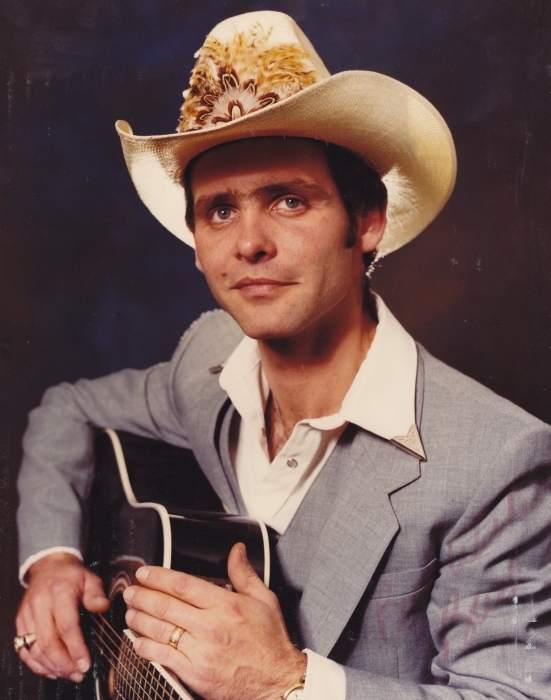 Unlikely as it seems, Dan was a full time country musician for many years before joining the band. But for those familiar with his playing it’s no surprise, since he has an uncanny ability to play every style of music with incredible authenticity, passion and virtuosity. Dan Noordermeer has been with The Dave Murphy Band for almost a decade. Note: This is Bradley’s first professional recording. Bradley J. Preston is currently a singer with the popular local country band “The Melody Ramblers”. He has taken an extra step by recording a single and producing 1000 copies at his own expense of $5,000. 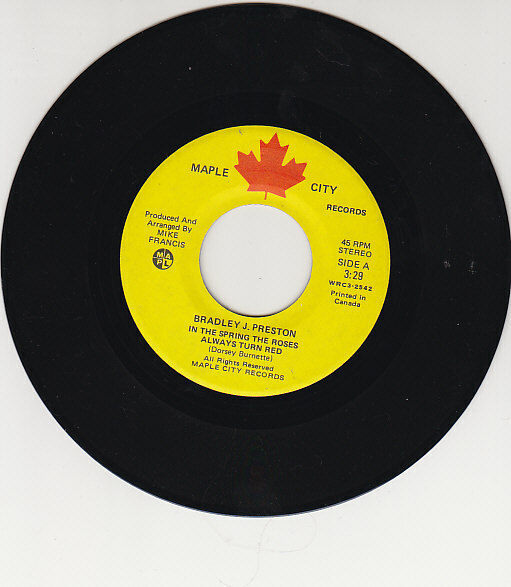 This effort to branch out has taken Mr. Bradley to a career touring the U.S.A., Canada, and over seas. 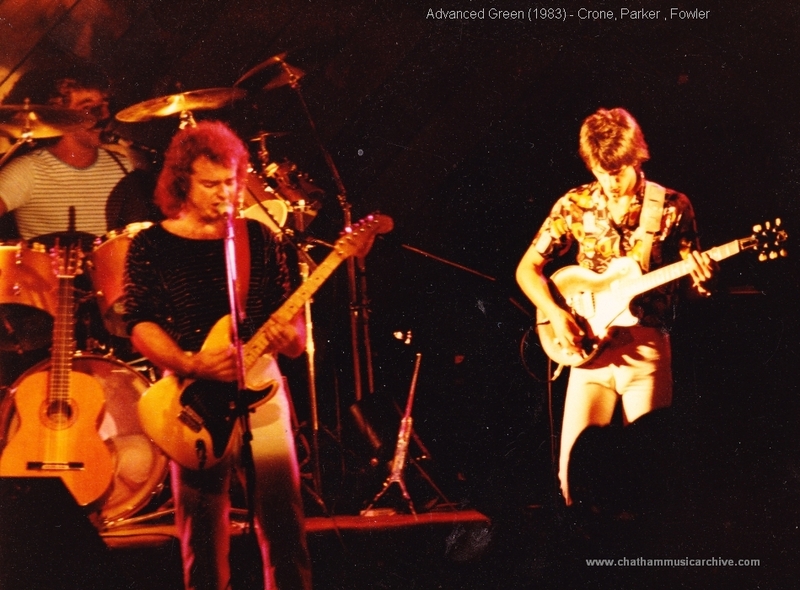 In the 1970’s, Chatham was a hot spot for musicians with around 400 people in the local Union. There were more venues (Clubs, bars, legions etc) to play in Chatham than most surrounding cities offered. Bands would play six nights a week at a venue than move on to the next. They would have the calendar year booked solid before the year started. Genre: Southern Rock and Country. 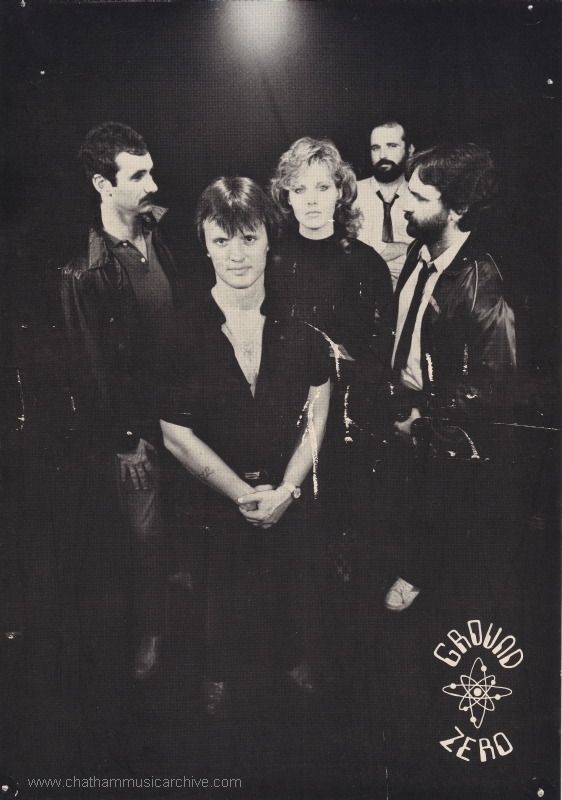 The band ran from 1980 to 1985 and was a road band. During this time, a new kind of country was emerging with bands like Alabama and the popularity of southern rock with the likes of Lynyrd Skynyrd. 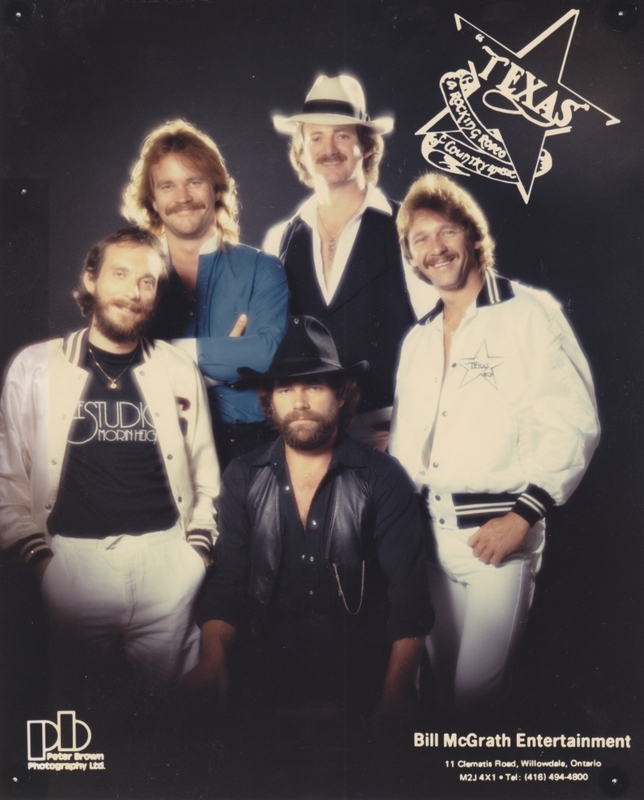 Texas was a popular cover band to see during this period of time. It was common for a band to play the same venue for six nights a week then move to the next. 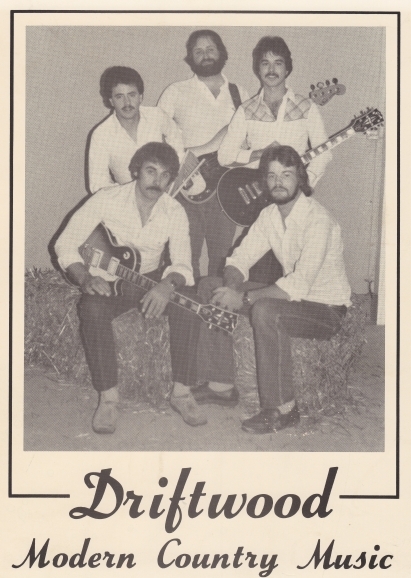 Eddie Larsen and Waide Holland played together in their high school aged band “Zeke and the Moonshiners”. Zeke and the Moonshiners would later change their name to “The Missing Links”, the most popular rock and roll band to record a vinyl LP from this area in the sixties. Their old buddy drummer (from The Missing Links 1966) Bill McGrath became a booking agent in Toronto for high end acts and took on Texas as a client. This favour helped give Texas the ability to develop quickly and professionally into a solid band with greater opportunities. Texas toured Ontario from Quebec to Michigan playing night clubs and shows which included a concert in The Royal York Hotel, Toronto. Texas also wrote and recorded several original songs slated for their first album. You are currently browsing the archives for the 1983 Music category.